These Parmesan Tortellini Bites make the perfect appetizer or side! 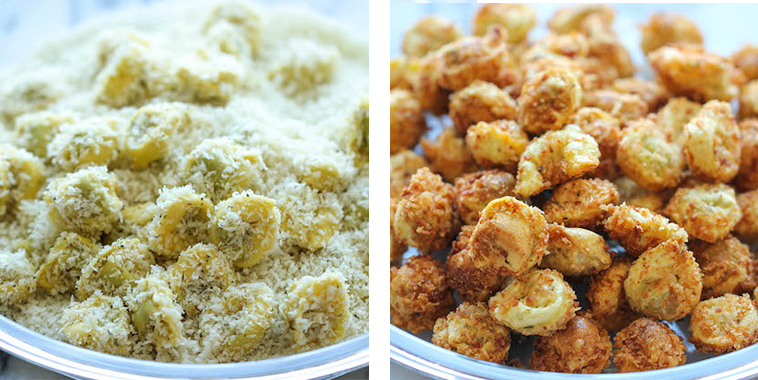 Tortellini just got 100 times better. Crispy, crunchy, goodness. That is what you’re getting out of this recipe! I love the addition of Panko in this recipe. It tastes so great. You really should whip up a batch of these. Before you know it you won’t be able to stop popping these into your mouth!